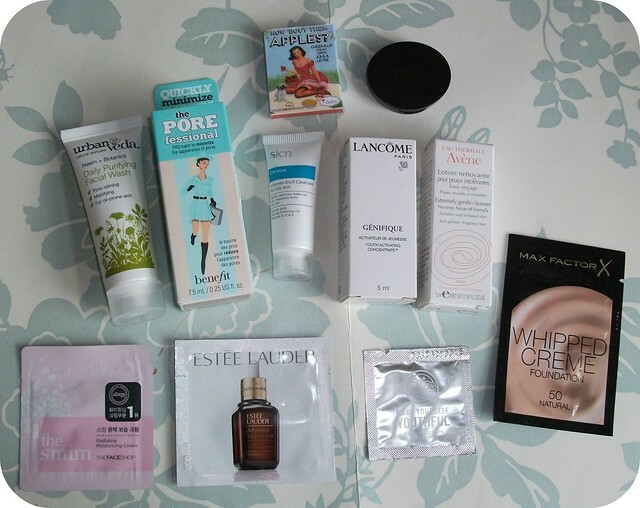 I've been lucky enough to win a few super lovely prizes from blog giveaways in the past few months, and thought it was about time I shared them to say a big THANK YOU to the bloggers who've been so generous! Just to reiterate, I'm not in any way trying to brag by sharing these, I just like to read similar posts on other blogs and think it's nice to say thank you to people who are kind enough to hold giveaways and send such amazing prizes. 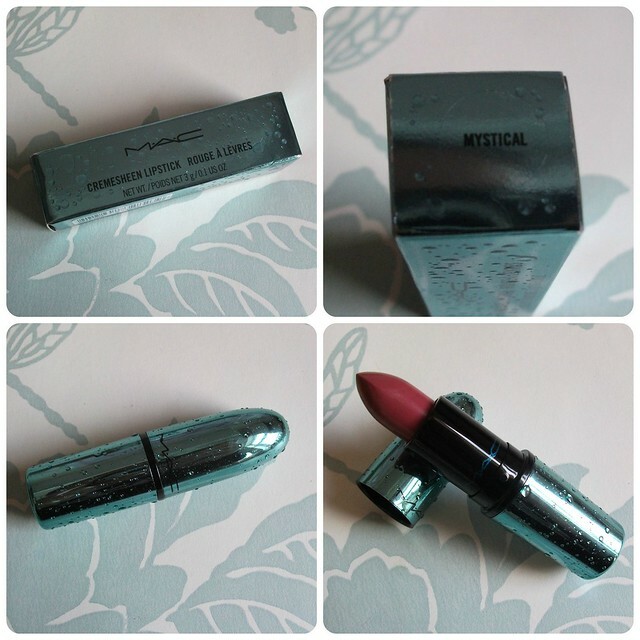 Aqeela from Diary of a Makeup Geek gave away a MAC lipstick, 'Mystical', from the Alluring Aquatic collection to celebrate her second blog birthday. I haven't worn this yet but I'm in love with the packaging! Amiiee from It's Amiieeism gave away a whole selection of American beauty goodies from her trip to the States, along with a little bundle of fab samples to add to my collection. 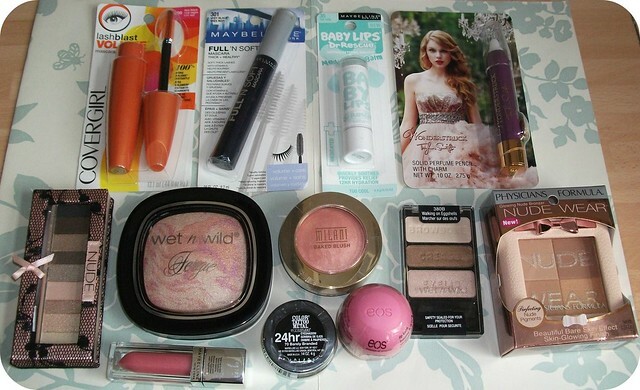 There's such a lovely mix of brands here, including products from Milani, Wet N Wild, Physician's Formula & EOS. 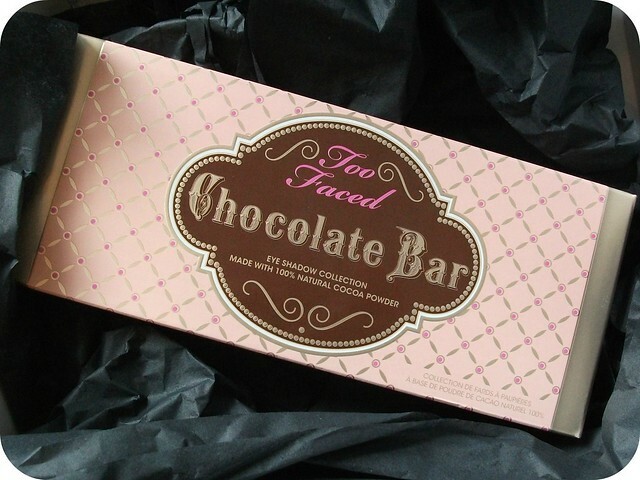 Laura from A Scottish Lass held a giveaway for Too Faced's Chocolate Bar Palette, which arrived this morning; I've not had chance to try it out yet but it smells amazing!! 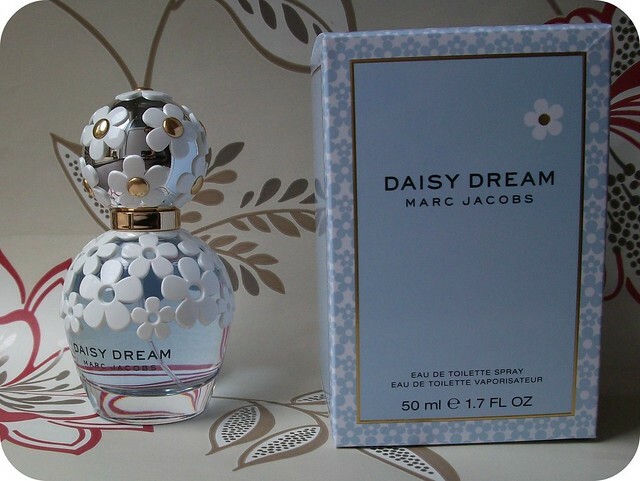 Finally, I've also won a bottle of Marc Jacobs' Daisy Dream perfume from Jen at Beauty Junkie London; I'd been saving up for a new perfume so this came at the perfect time and I've been really enjoying wearing it. On a giveaway-related note, I'm happy to announce that the winner of my 500 Bloglovin' Followers Giveaway was the lovely Sophia, congratulations to her! Have you won any giveaways recently? oh wow Jess! amazing wins!!!! :D I need to get into more giveaways!!! Lucky lucky!!! I need to start winning giveaways lol! wow so lucky! very jealous of all the amazing wins.